Want to grow your blog? Of course you do! 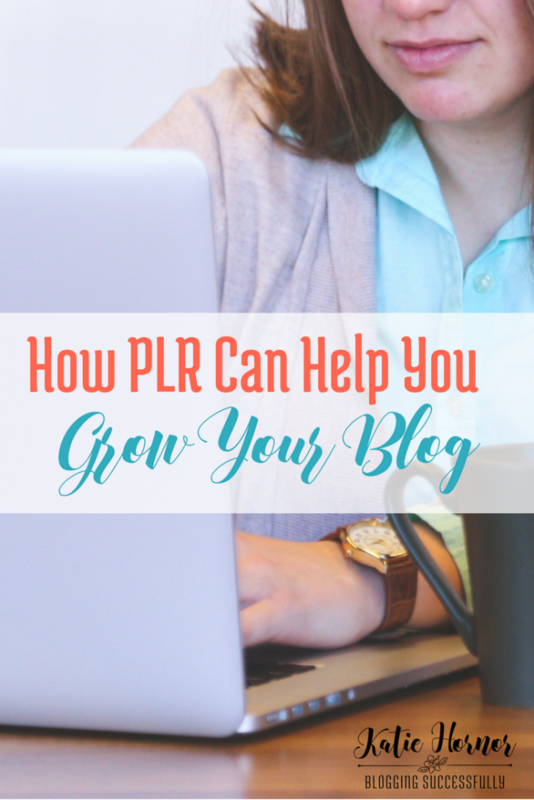 Today we're going to talk about PLR and how it can help you grow your blog. This post is s guest post by Susanne Myers and Tracy Roberts, members of The Como Blog Connection and Founders of Piggy Makes Bank. A little while ago Katie invited us to come talk to the other members of The Como Blog Connection about PLR (Private Label Rights), what it is, how to use it, and most importantly how it can save you time and money while growing your reach faster. The Google Hangout was a lot of fun and if you’re a Como Blog Connection member, you can find the recording in files of the PrivateFacebook Group. Over next few blog posts we'd like to share some of what we covered in the original hangout and answer some additional questions that have popped up in the follow up. Even if you don't’ have access to the recording, this will be helpful. We use affiliate links at Como Blog. Please see our full disclosure here. Let’s start with the basics. PLR stands for Private Label Rights. And for our purposes we’re talking about private label rights content. This could be articles, short reports, ebooks, emails, videos, audio recordings, music etc. Any type of content you can think of that you use in your online business, chances are there’s private label content out there as well. At Piggy Makes Bank we mainly focus on written content, so that’s what we’ll talk about here. The basic idea is that we write content – a series of articles or blog posts, a short report, a longer eBook, a series of email messages etc. And then make it available to you and others for purchase. You can buy the content and treat it like something you’ve written. You can edit it as much or as little as you’d like. You can put your own name on it and post it on your blog. You can use it in your emails. You can create a paid product with it. If this sounds a lot like having ghost written content, it’s because it is. The main difference is that PLR is a lot more affordable since it’s sold to multiple people (who will use it in different ways). And as an added bonus, we do all the research into popular and profitable topics and come up with the content ideas for you. How Can PLR Help Me Save Time and Grow My Blog? Another question that comes up frequently is why do you need to use PLR in the first place? Wouldn’t it be cheaper to write everything yourself? Sure it is… but there are some pretty great reasons to use PLR. The main reason is that it saves you time and allows you to grow faster than you can when researching, writing, and editing everything yourself. If you’ve been blogging for a while, you know that it takes a lot of time. There are always more things to do and explore and writing the content is only the first step. Then you have to come up with related content for your emails, post on social media, connect with other bloggers in your niche etc. All that takes time. PLR allows you to recoup some of that time by having well researched, written, and edited content ready for you to use however and wherever you need it. That added content alone will help you grow your reach, but it also allows you to focus on marketing a bit more which can result in exponential growth. Q: Isn’t using PLR cheating and less authentic? A: It depends on how you look at it. We don’t think it’s cheating. We think it’s a valid time saving technique if you do it right. If all you do is buy a bunch of crappy PLR, use a script to load it all up to a site and call it a day, then using PLR isn’t an authentic way to blog. But if on the other hand you go out and find quality PLR (like ours for example), give it a slight edit to make sure it fits in with the tone of voice and theme of your website and that content helps or entertains your readers, then we don't’ consider that cheating at all. We think of it as working smart. It's like paying a ghost writer who just wrote before you commissioned the piece. In many cases your readers won’t even realize you’ve used PLR. Ready to give it a try? Take a look at the PLR Bundles available at www.PiggyMakesBank.com and use coupon code COMOBLOG for a special deal for Como Blog readers only.